Chlorine? Get rid of it!! Chlorinated water does more than leave a bad taste in your mouth. Chlorine in hot water is particularly corrosive on brass, copper, galvanized iron, stainless steel pipes and fittings making them prone to leak. It can even wear away the protective alloy coating on heating elements causing them to fail. With chlorine now in the Christchurch water supply it’s important to regularly check your hot water cylinder and pipes for any sign of leaks. Dis-coloured water and the appearance of blue-green stains in sinks, basins and baths are all signs of corrosion, as is white build up (calcification) around fittings. If you have any of these issues give us a call. Left unresolved corrosion can lead to major leaks, structural damage to your home and even health issues caused by damaged pipes and fittings contaminating your drinking water. We recommend our customers consider replacing alloy-coated hot water cylinder heating elements with Titanium coated elements. The protective coating of Titanium is more resistant to the corrosive impact of chlorine making these elements less likely to fail. That means you needn’t worry about waking to a cold shower. While Christchurch’s water is chlorinated we all need to keep a closer eye on our hot water cylinders and pipes. Let us know if you’re experiencing issues. We’re here to help. Here at Plumbfast we can help you get rid of that nasty taste and smell chlorine brings to your water. 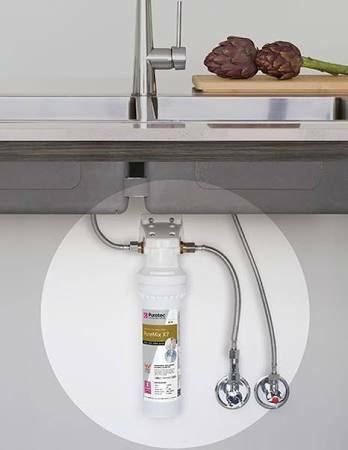 We can supply and install a water filter under the kitchen sink or protect the whole house, at a price point you can afford. Take care of your home family now. MATRIKX powered by GREENBLOCK CTO filters are made from 100% coconut shell carbon, a renewable and ecologically sustainable material. 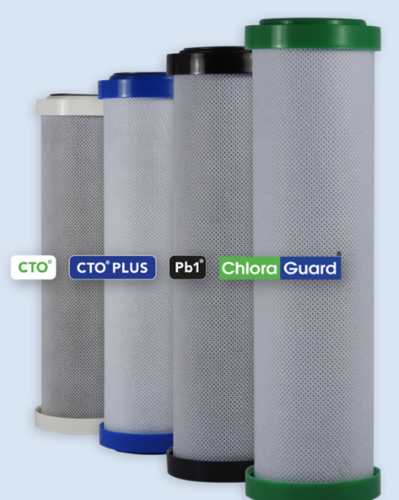 The carbon is processed into blocks using a unique binder system and proprietary manufacturing techniques to produce filters with a greater number of micro-pores and available carbon surface area, which display superior adsorption capacity and kinetic dynamics. 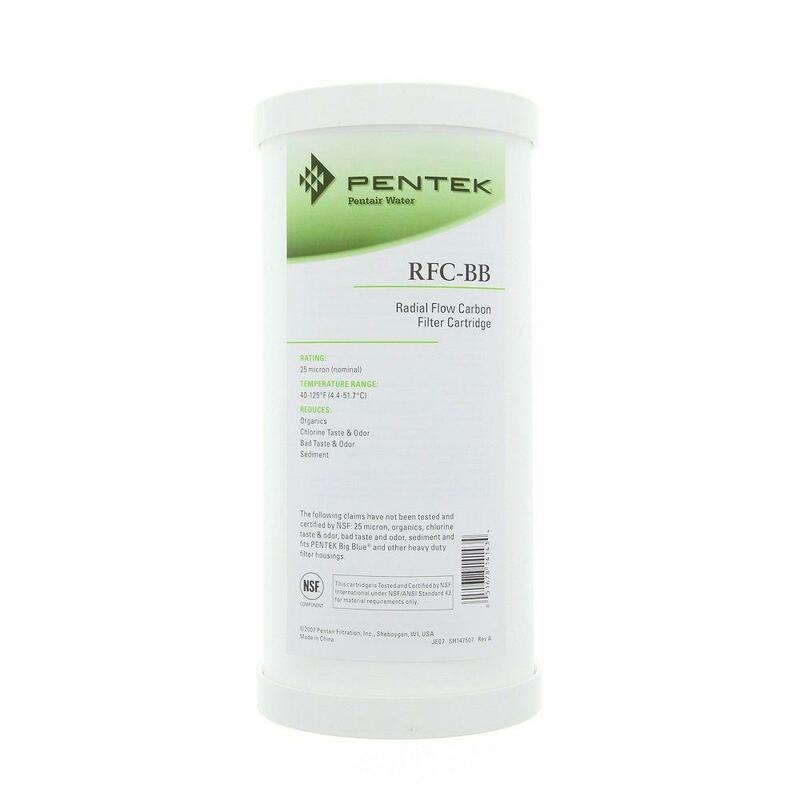 Pentek RFC Series Cartridges’ unique radial flow design offers the benefits of granular activated carbon (GAC) filtration, such as low pressure drop, while at the same time significantly reducing the release of carbon fines commonly associated with GAC-style cartridges. 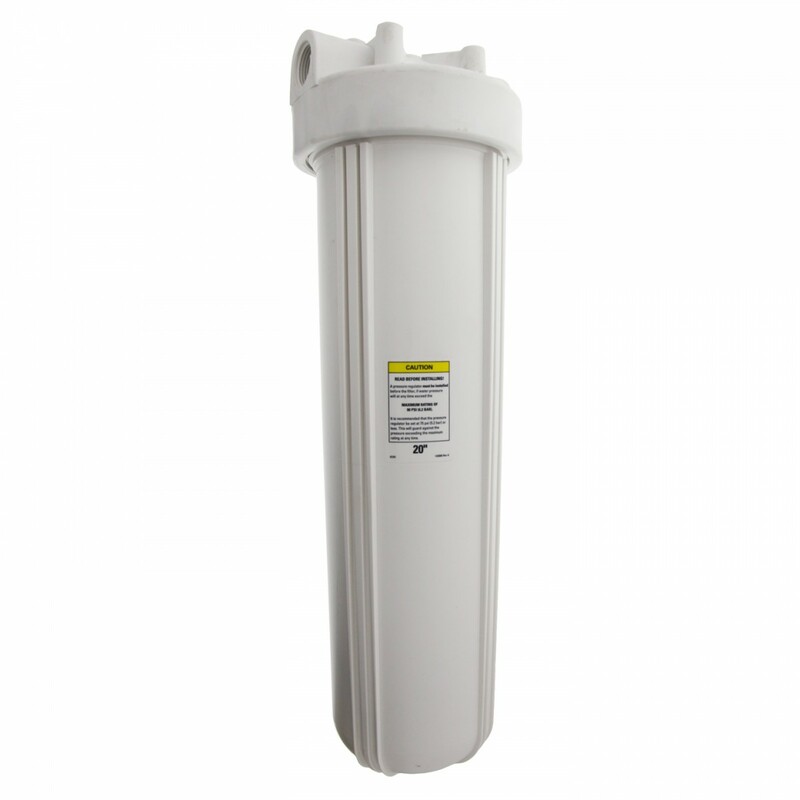 Pentek Big White Filter Housings with Bypass offer caps that include a built-in bypass valve for easy cartridge change-outs, eliminating the need to shut off the water supply. You can easily switch from filter position to bypass by turning the large control knob a half turn. The High Flow Polypropylene (HFPP) cap is available in 1″ NPT inlet and outlet ports. These housings have the versatility to meet all of your large capacity filtration needs, including high-flow and heavy sediment applications.